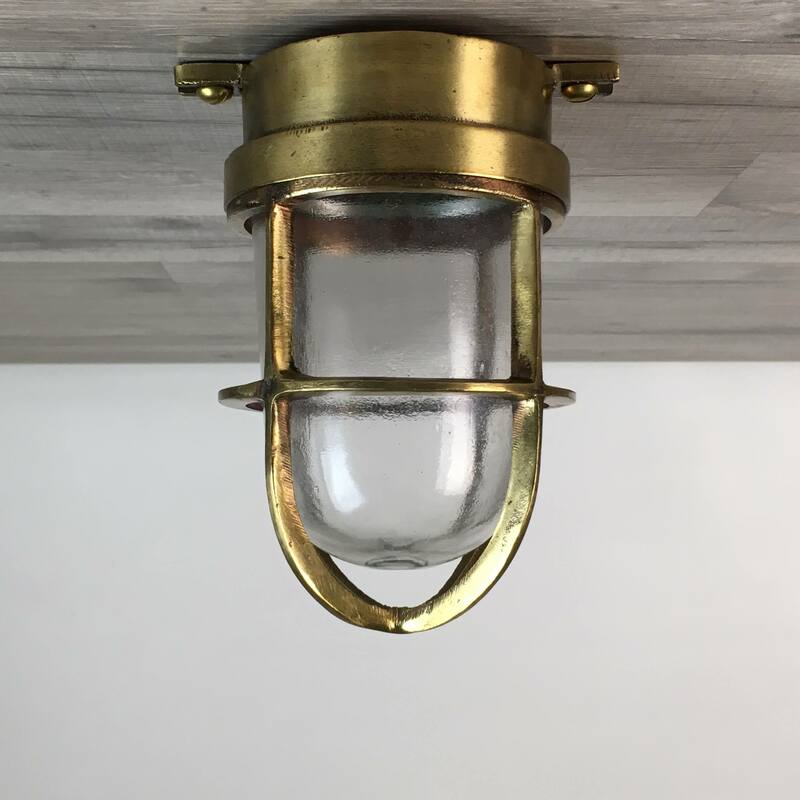 This vintage small brass passageway light measures 8 inches tall x 5 inches wide. It has two mount feet on the base. We have installed a copper cap in the old conduit opening in front. The globe is glass in good condition. This light weighs just under 3 1/2 pounds. This light has been rewired with UL-Listed wiring and bulb socket rated for up to 250 volts. The globe and cage unscrew as one piece. A normal screw-in house bulb of 60 watts or less will work great in this light. We have a 6 inch brass adapter plate available for an additional $20. It ends the frustration of covering a junction box opening and provides a finished look to the installation. We can install the plate to the light at no extra charge. 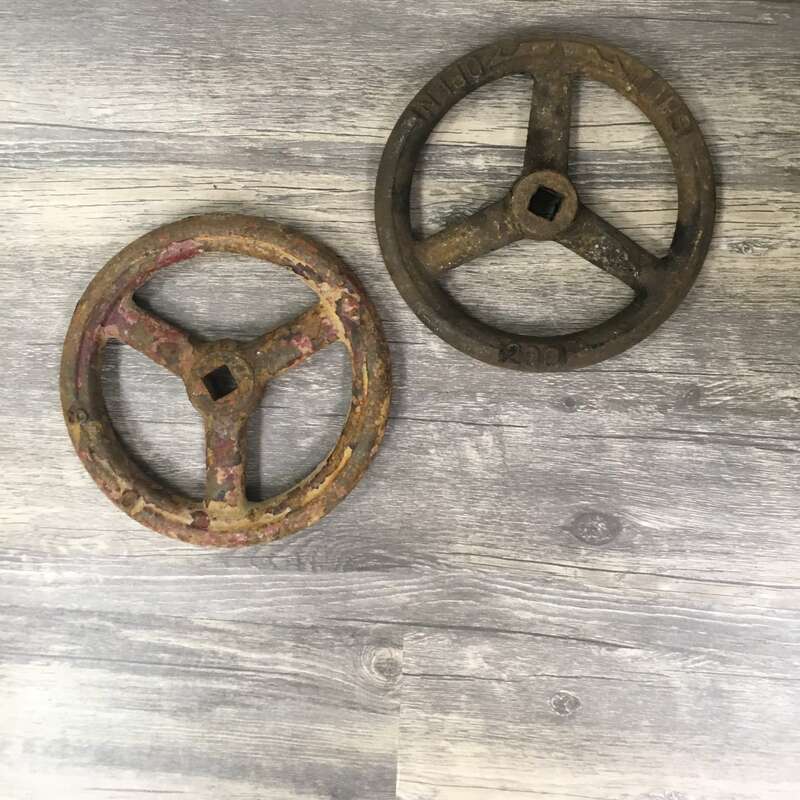 You will be shipped the vintage small brass passageway light shown in the photos. Call Us to Order Now!